"And remember, we've got dinner with Carter and Shiera tonight." Okay, so this book is more then a month old and the second issue is already out, but in the last year there has been no comic I have re-read more after it's initial release then The Flash #1 - so I've got to give the man his due. 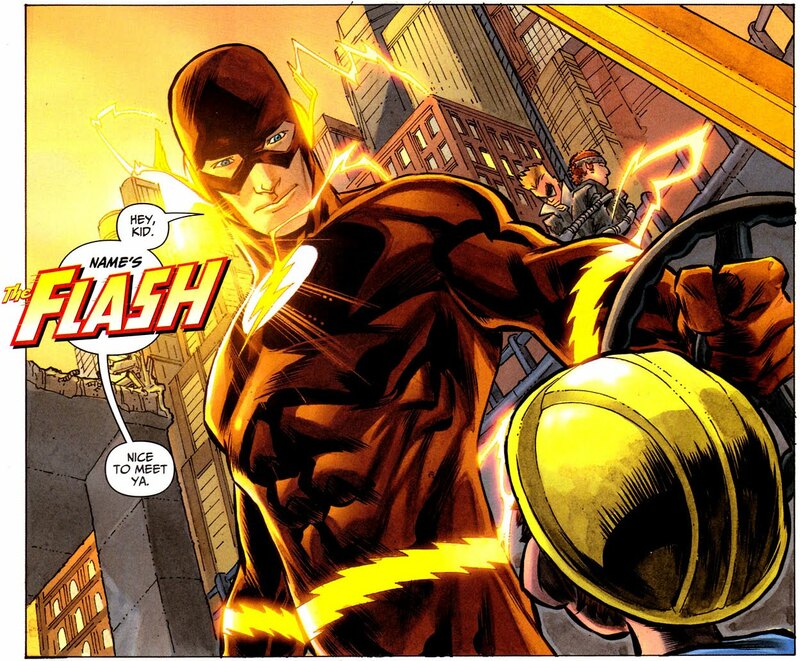 Yip, as far as I'm concerned Flash: Rebirth happened right here. In re-establishing Barry Allen as the main man behind the mantle, writer Geoff Johns, and artist Francis Manapul, don't create an issue of Flash that breaks any modern ground, but it does tick all the boxes in quickly setting up the supporting cast and getting on with the story in a light, fun and up-beat way. 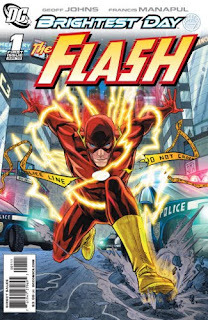 Despite fears over what Geoff would focus on, due to Barry's new, more tragic origins, here he narrows the field to focus on just one Flash, has Barry and Iris interact as that most endangered of all comic species: a healthy happy relationship, and sets up the character of Central City, as the city that's 'always on the run'. Sure, that all proves the books got a shot or two of 'silver age' in the mix, but it is also incredibly new-reader friendly. Barry Allen has always been one of the most positive and morally centred heroes in comics, and things like him asking to look into all the unsolved police cases that have accrued while he has been away - in his own time - were just great moments in re-establishing what made the fleet footed forensic scientist so addictive, all those years ago. 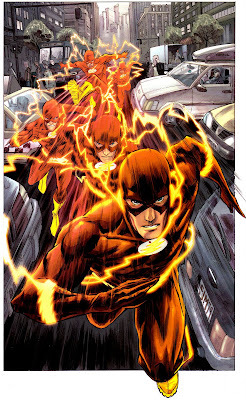 Flash however, is a title that needs to look unique and distinctive - flashy - and that's what it is under Francis Manapul's pen. Iconic, bright and detailed, the almost straight pencil to colour look really helps this book stand out from the pile, and that can only improve as Manapul further finds his artistic feet.